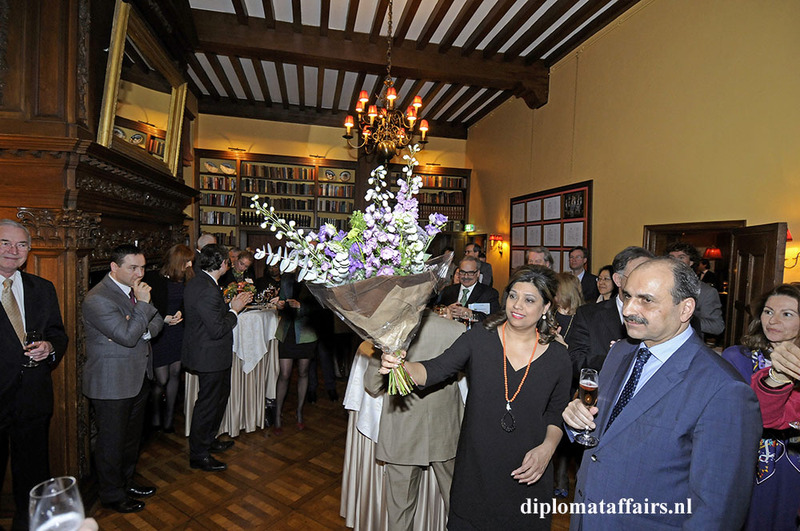 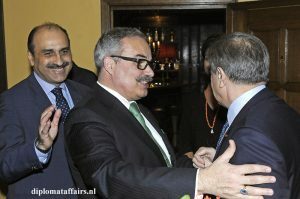 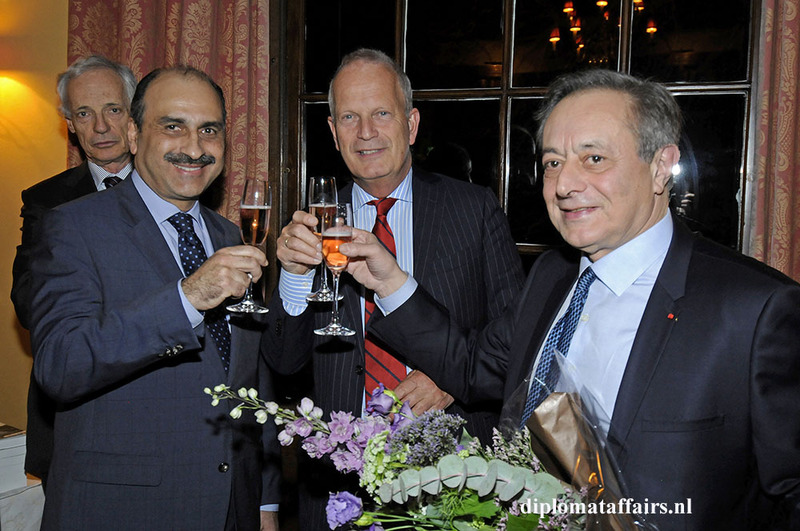 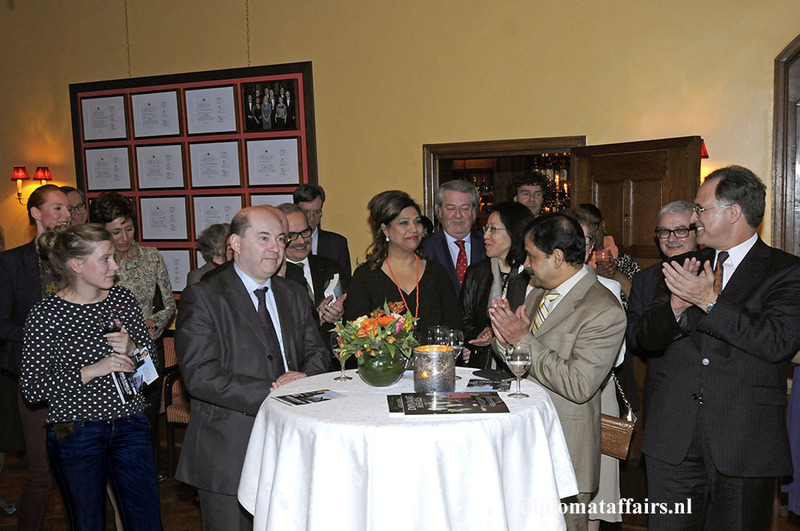 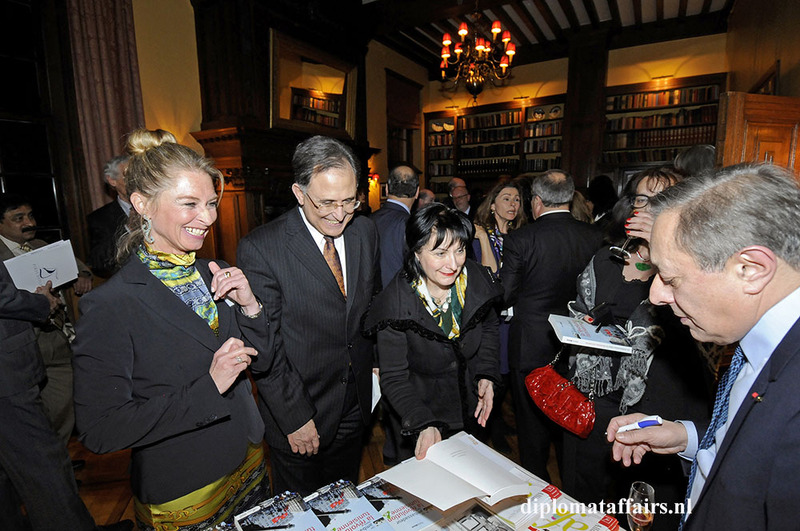 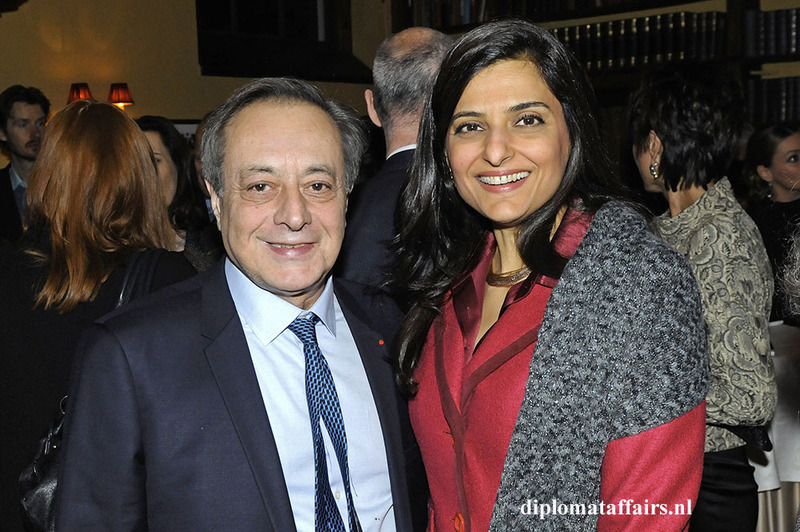 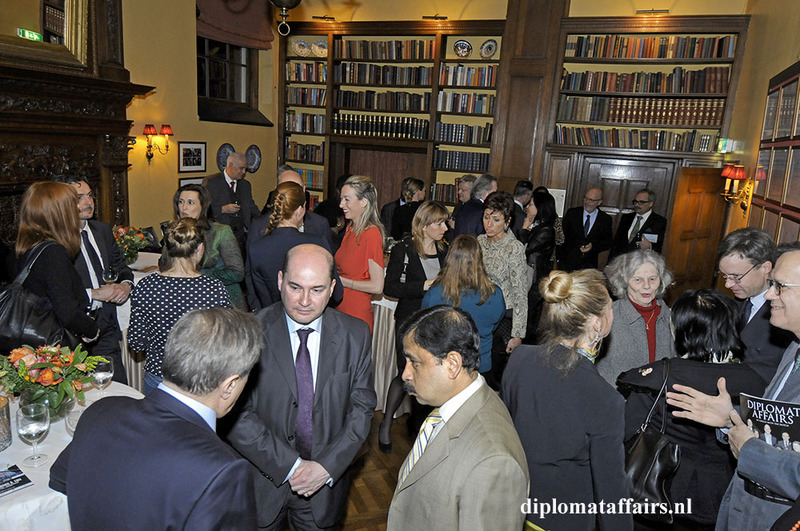 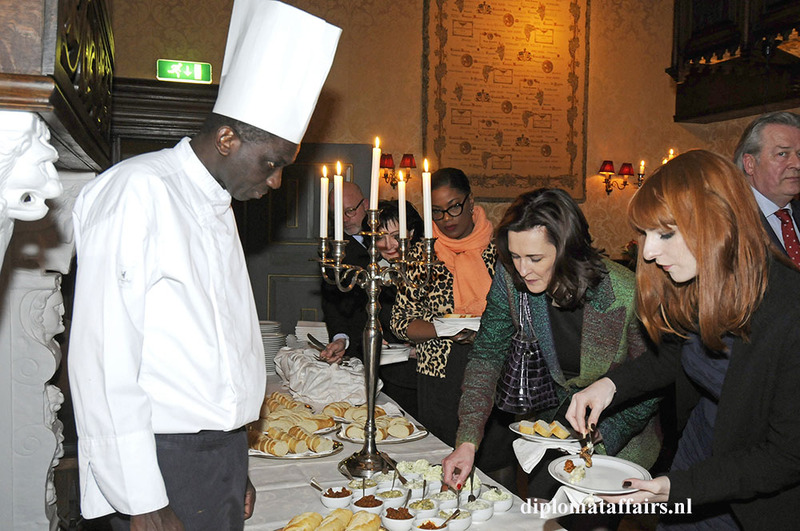 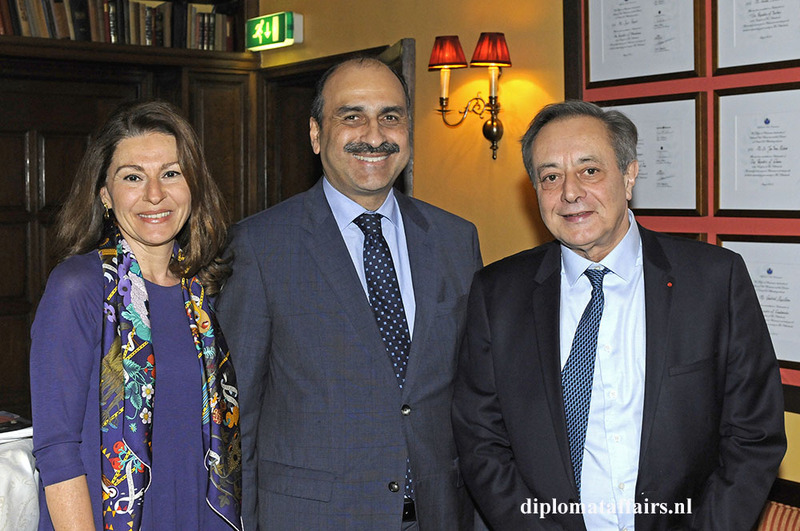 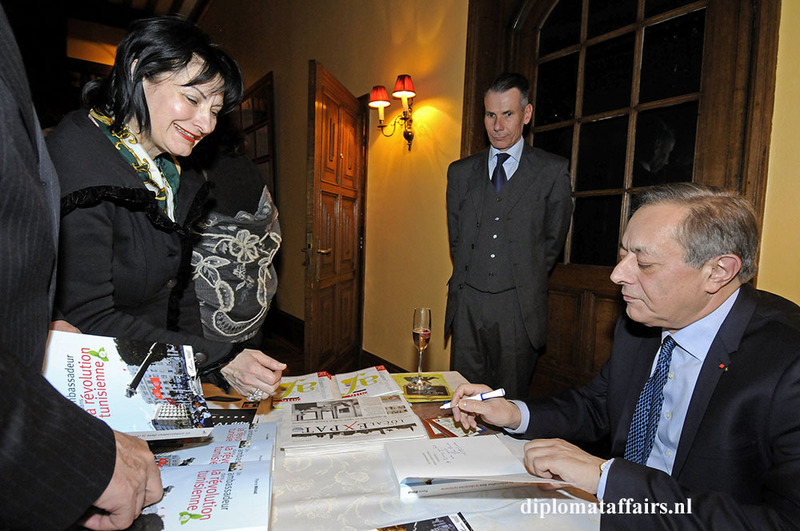 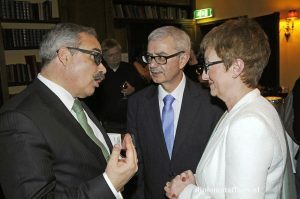 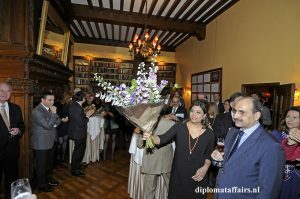 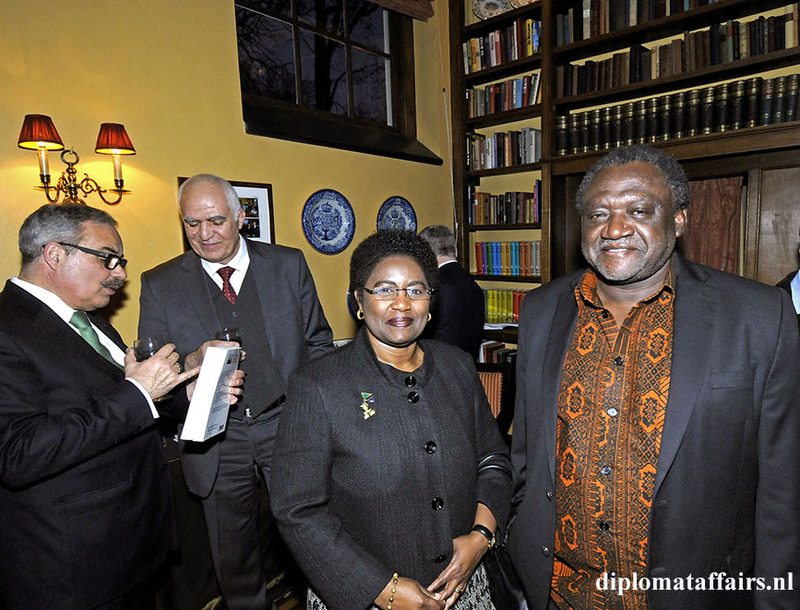 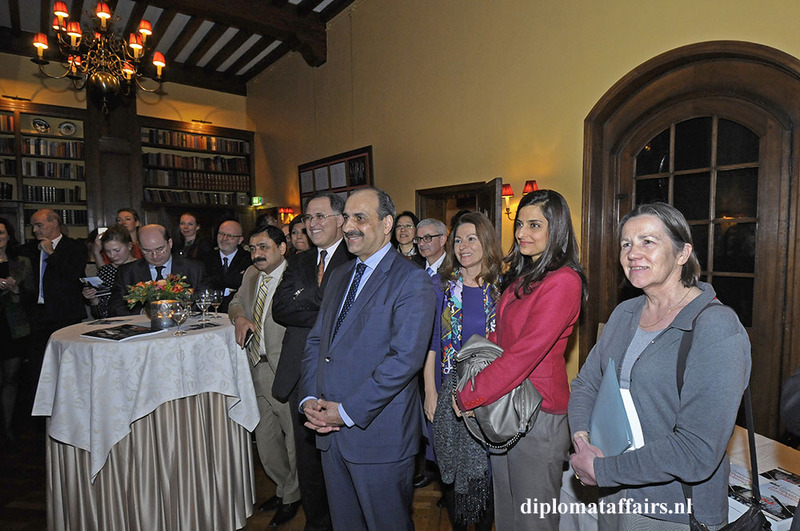 March 16th 2016, in the splendid intimacy of Diplomat Club Wassenaar at Kasteel de Wittenburg’s library; fragrant flowers on white linen tablecloths, candlelight catching the intricacy of the woodwork, ambassadors and their spouses, including the Ambassador of Tunisia H.E. 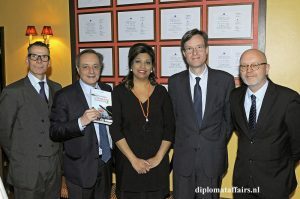 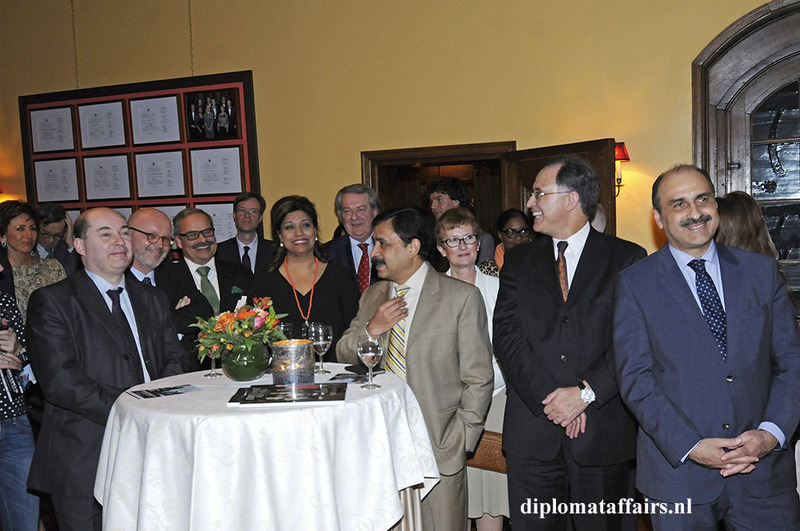 Karim Ben Becher, members of the Alliance Française, Director Martin Beyer, President Richard Schreurs, Mr. Xavier Rey, chargé d’affaires of the French Embassy and other interested Francophiles gathered to greet DCW alumni Mr Pierre Ménat, former French Ambassador to the Netherlands, for the launch of his book “Un ambassadeur dans la révolution tunisienne”. 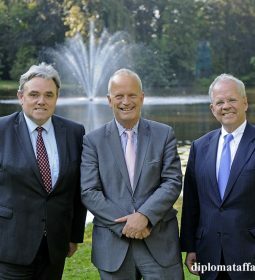 The patron of DCW, the Mayor of Wassenaar: Jan Hoekema, issued warm words of welcome pointing out that which makes Mr Ménat’s book different is its honesty and break from the mould of glossing over the less positive aspects of one’s country of posting, but reveals the human sinsights of being ambassador in a country in the midst of a revolution: how do you select your position? 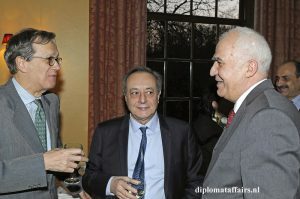 He went on to comment that indeed the Spring may not have turned out to be all that had been hoped for, but Tunisia managed to stay on course, despite severe difficulties and bloodshed. 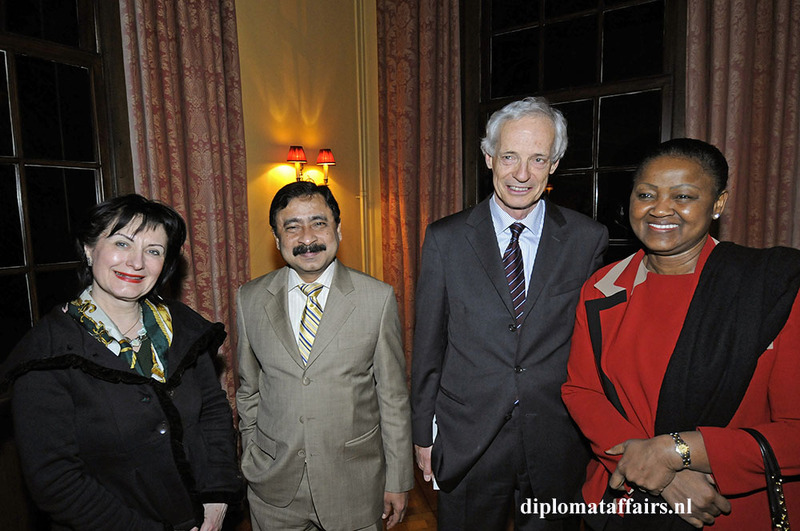 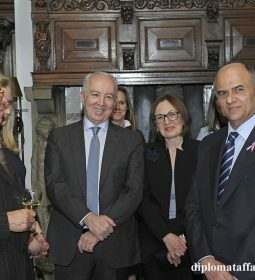 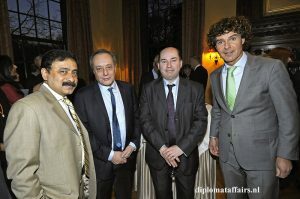 Diplomats are not usually in a position to be quite so open and candid, now Mr Ménat can do so. 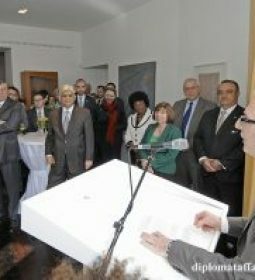 The Mayor jokingly recommended all ambassadors to break from their chains and go out and write books. 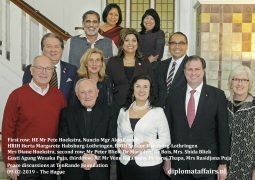 Mr Hoekema also thanked Mrs Bliek, President of DCW for creating a “home away from home” for the ambassadors in his city of Wassenaar. 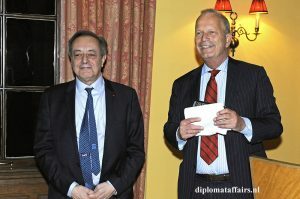 And of course we celebrated the alumni component of DCW with Mr Ménat’s return (he was a staunch supporter of founding Diplomat Club Wassenaar almost two years ago) and the hope that the soon pensioning Ambassador of Portugal, whom we will miss so much, also returns regularly as Alumni to our events…and we are looking forward to the book! 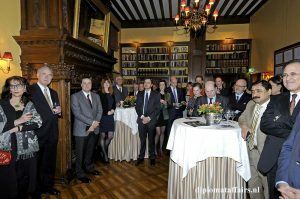 Though a serious topic, the atmosphere was light and playful enhanced by the mix of splendour, history and intimacy of the library. 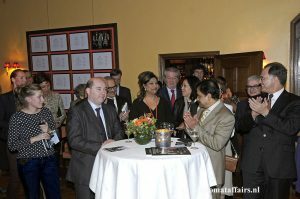 It was a wonderfully diverse public with ambassadors of many nationalities mingling gaily with each other and with other guests. 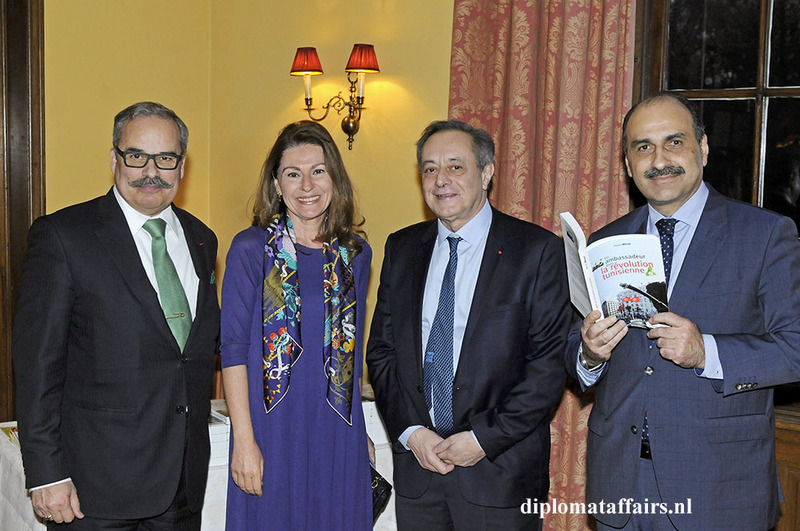 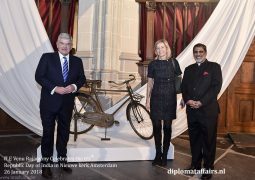 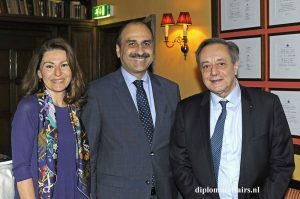 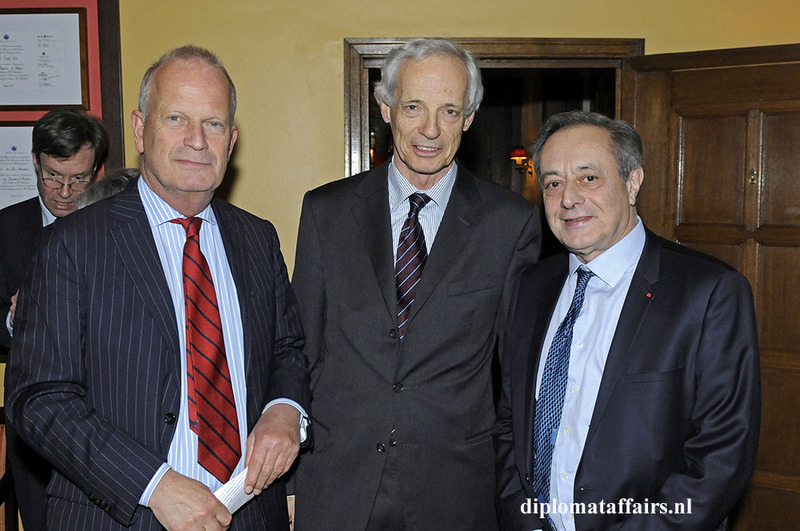 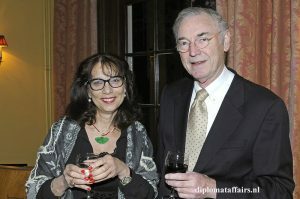 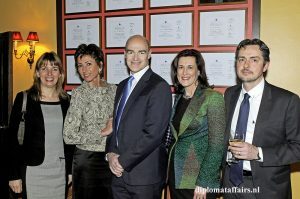 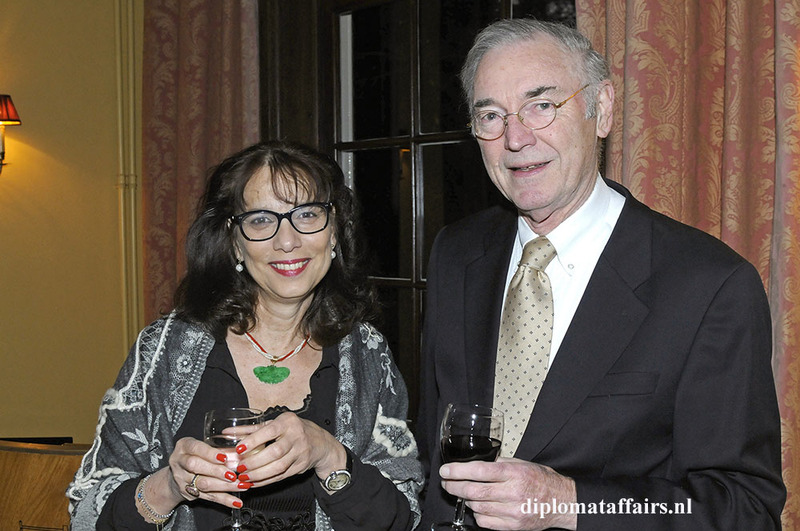 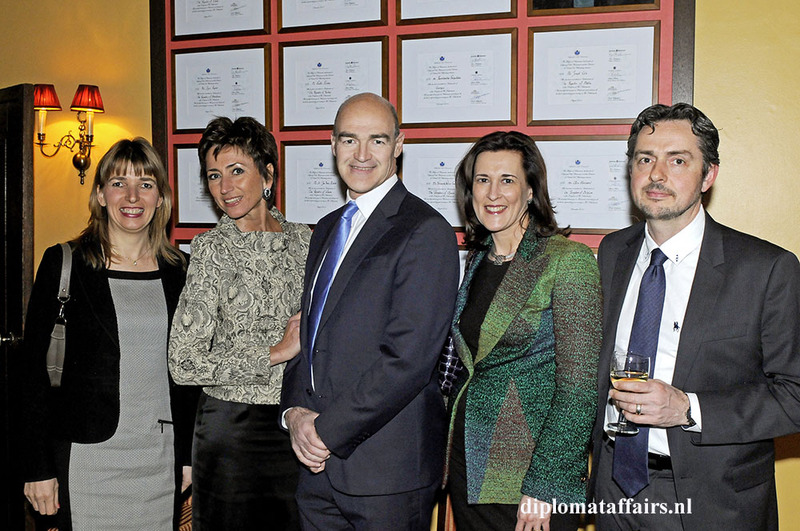 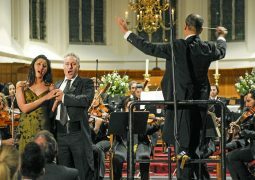 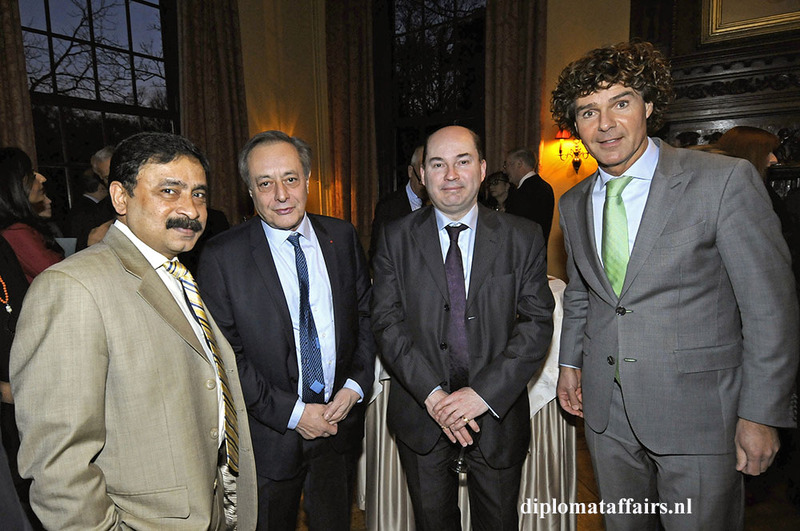 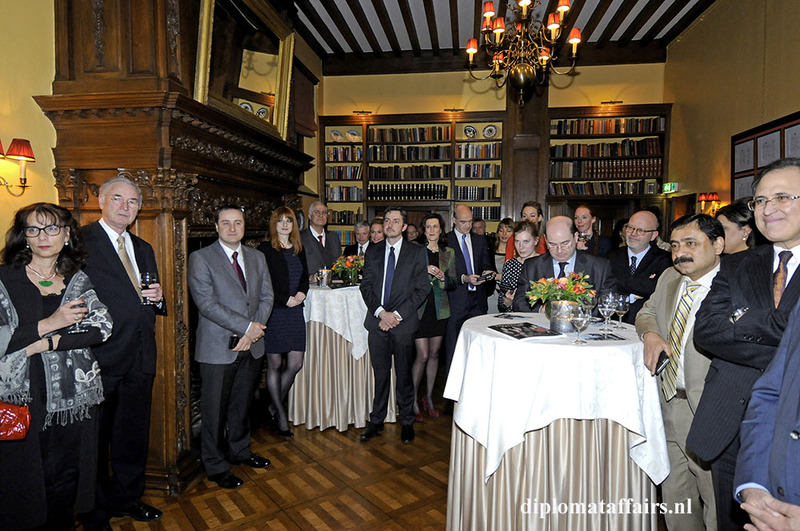 Pierre Ménat expressed his delight at returning to the Netherlands and his thanks to the Alliance Française, the Embassy of France and Diplomat Club Wassenaar for organising the event. Indeed now that he is working as Judge and with his own consultancy (Pierre Ménat Conseil), he is free to speak his mind. 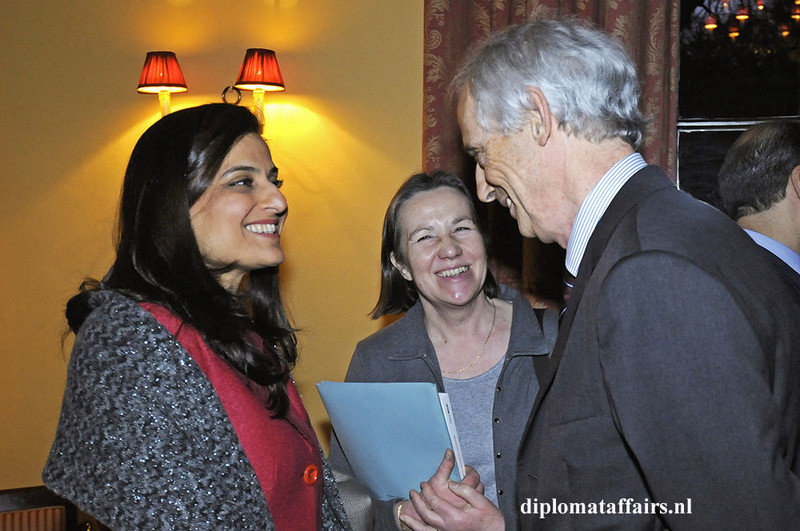 You couldn’t help but be moved by his obvious and sincere love for Tunisia and empathy for indeed “a posting as ambassador (from 2009) in a most beautiful country but with a mission which turned out to be difficult from beginning to end”. 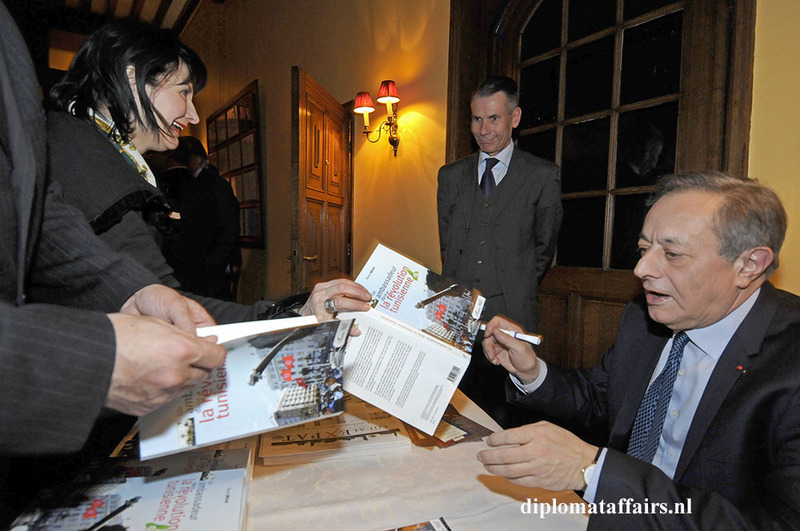 Mr Ménat researched this part thoroughly, is it a revolt or a revolution? 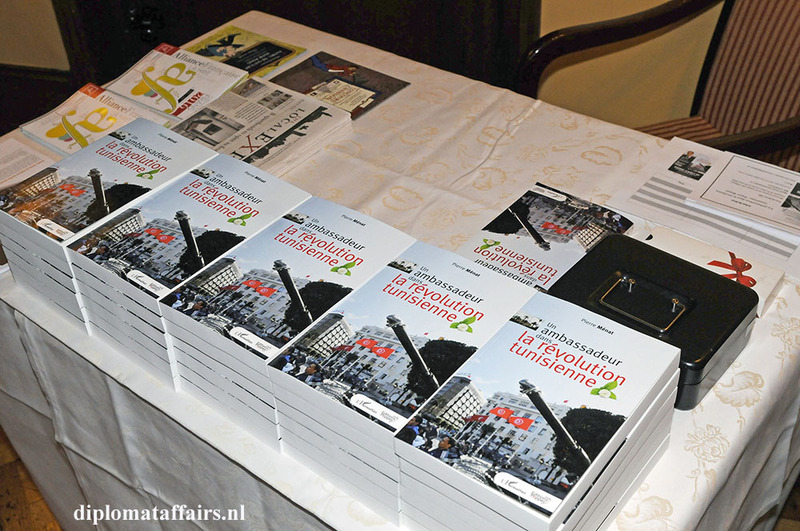 A revolution in his opinion. 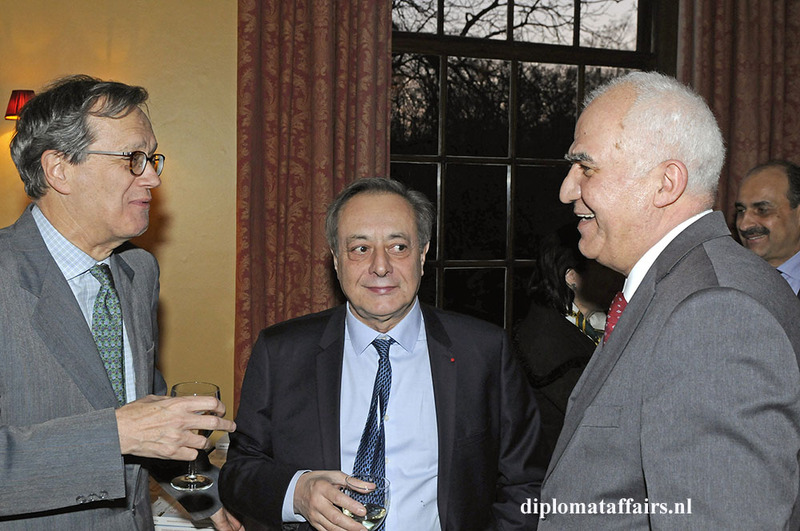 He was also refreshingly open about the accusations made against him at the time that he, as Ambassador, had not seen it coming, and he tongue in cheek admitted, he would also have wished for a wikileak, or to frenchify a “wikifuite”! He was “invited to leave” by his government. The truth is, as he pointed out, five years down the line, we still don’t know exactly what happened, and that conclusion was reinforced through discussions with colleagues during a recent return to Tunisia for the launch of his book. 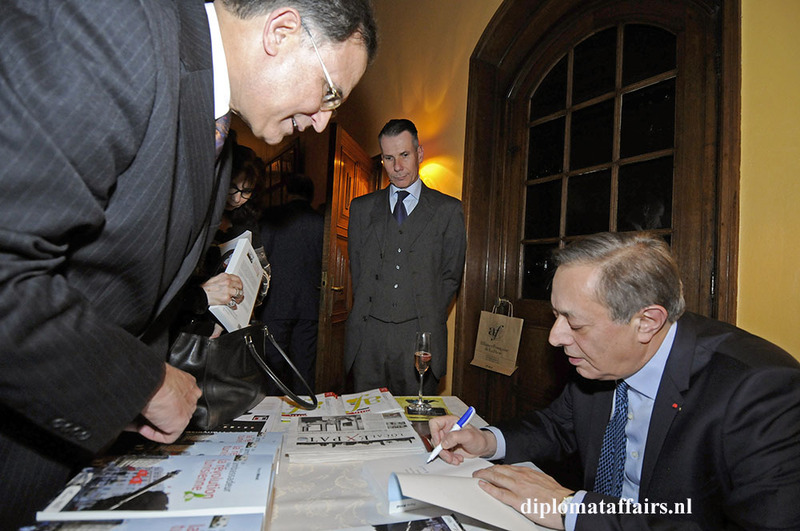 The book is well received and widely available, with of course, as can be expected, a healthy dose of criticism which he welcomes. 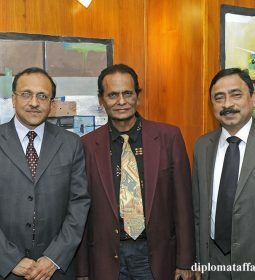 One strong being Democracy. Out of the various springs, Tunisia is the only one maintaining the new Constitution and Constitutional Assembly since 2011 within three peaceful changes of power. 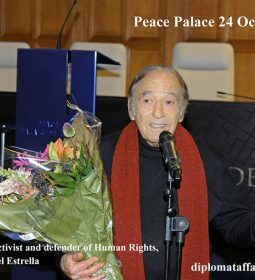 The second strong positive is the freedom of expression. 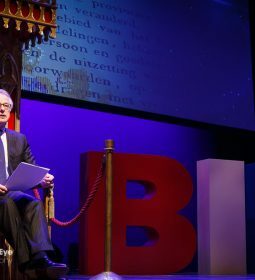 He finished with these words: “A revolution is a big event. I had the chance to be a witness in these difficult circumstances, which increased my sympathy for this country and compelled me to write”. To that we raised our glasses of pink champagne cocktail (alcohol free).I for one am looking forward to reading the book full length. After such an opening the room was abuzz with conversation and queues formed to purchase and have autographed the book, almost all books sold! Some from the Alliance Française had known Mr Ménat from his posting here as Ambassador, as had some of the ambassadors present. 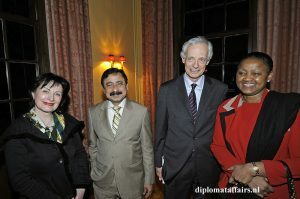 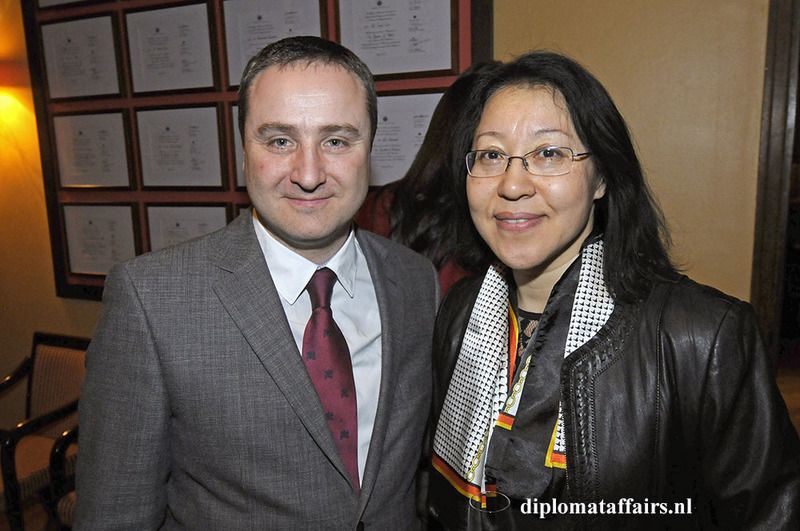 Particularly delighted to see him, was the Romanian Ambassador, H.E. Ms Ireny Comaroschi as their friendship goes back over 20 years and three shared postings: Romania, Poland and the Netherlands. 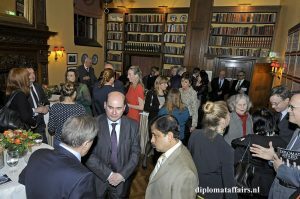 Time for wine and cheese as we spread gaily through the library, to the cosy bar area and out to the glasshouse overlooking the gardens. For my part I felt it had been a particularly intense and authentic evening with beautifully minded people open to sharing. 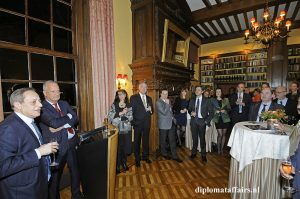 It was wonderful, seen the many diplomatic events on the agenda that night , that so many could make it, with each and every one adding to the wonderful energy, and a special thank you to our alumni, Mr Pierre Ménat, for sharing his thoughts and feelings with us. 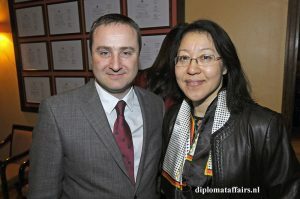 We are looking forward to the English version! 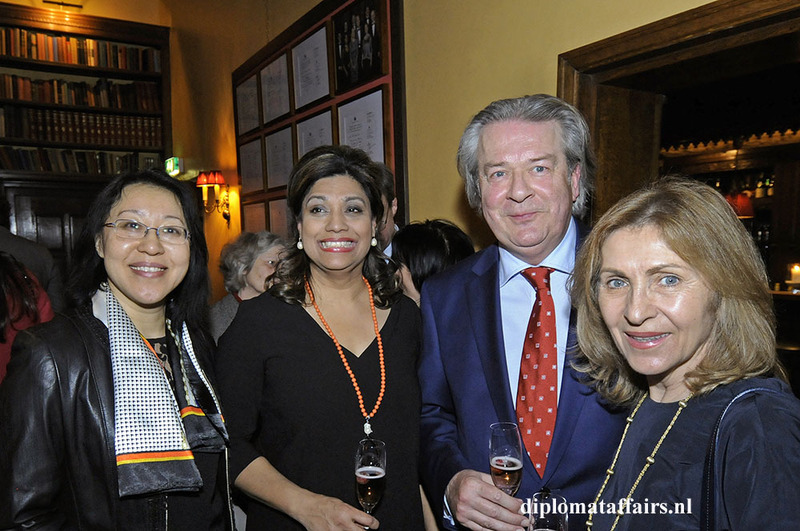 Shida Bliek was delighted to work together with Alliance Française Director Martin Beyer, a professional and perfectionist who inspired us to organize this wonderful evening and many thanks to the French Embassy for their support.